If you are a teenager applying for your first driver's license, it's not mandatory to complete a Driver's Ed course, but you will need to satisfy the requirements of the Missouri Department of Revenue (DOR) graduated driver license (GDL) program. 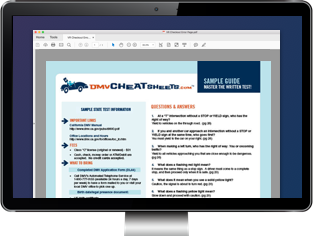 While you don't have to complete Driver's Ed, it can give you valuable information to help you ace the DMV written permit test and driving tests. Completing a driver's education course can not only give you an edge up on your DMV tests, but it can also help to prepare you to take on the challenges and responsibilities you'll face as a new driver. On this page you'll learn about the first steps you'll need to take to obtain your driver's license, and the benefits of taking a Missouri Driver's Ed course. Passing the DMV written and road tests. Completing a period of probationary driving. Visit your local MO DMV driver examination station with your parent, legal guardian, or certified driving instructor. Pass the DMV written test, road signs test, and a vision exam. For more information, please see our Drivers Permits in Missouri page. Some Missouri high schools offer driver's education programs to their students. If your school doesn't offer Driver's Ed, you may consider enrolling in an online driver's education course. Missouri traffic laws and violations. Safe and defensive driving practices. Reacting to hazards and poor driving conditions. Sharing the road with other drivers, motorcyclists, pedestrians, and bicyclists. Developing and practicing positive driving behaviors and attitudes. A Missouri driver's education course can provide you with knowledge and practice you can use to ace your road test on your first try. Contact the Missouri DMV with any questions you may have about the GDL law. Hold your learner's permit for at least 182 days. Practice a total of 40 hours of supervised driving. You can keep track of your hours with the Missouri DOR Driver Experience Log (Form 4901). Not have had any alcohol-related violations in the past 12 months. Not have any traffic violations in the past 6 months. Pass the DMV road test. For more information about additional documents, forms, and fees you may need to present to the Missouri DMV, please visit our Applying for a New License (Teen Drivers) in Missouri page. Use this form to log the practice driving hours needed to earn a Missouri driver's license.